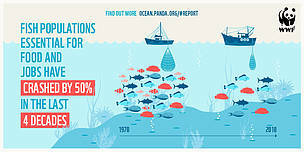 GLAND, Switzerland – Populations of fish critical to human food security are in serious decline worldwide with some at risk of collapse according to the emergency edition of a WWF report released today. WWF’s Living Blue Planet Report finds that much of the activity threatening the ocean is avoidable and solutions do exist to turn the tide. 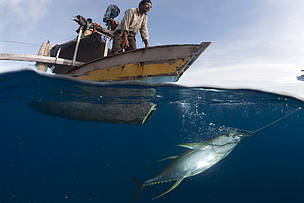 Father and son fishermen in dugout canoe bringing in net at sunset, Ohoidertutu Village, Kei Islands, Moluccas, Indonesia. 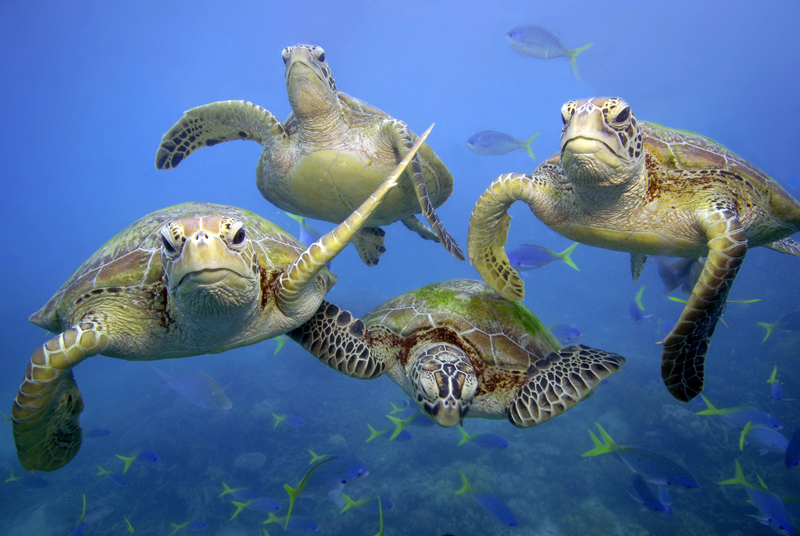 Green turtles swimming in the Great Barrier Reef, Queensland.